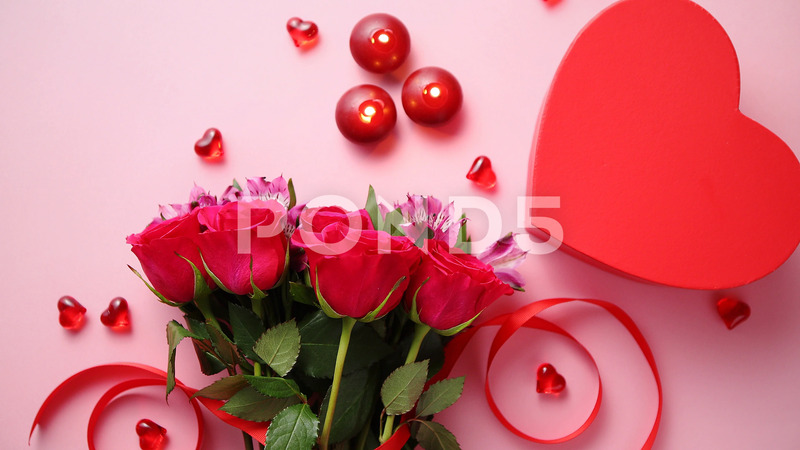 Description: Mixed flowers bouquet with roses, candles and heart shaped acrylic decorations on pink background. Gift for Valentine's Day, March 8 or romantic date. Above shot with copy space.